Intense Emotions starts the year exactly how it ended the last one - in style! This time courtesy of a brilliant label debut from James Dust called Watching the Waves. Melodic chord stabs and plucks wash over the build together with subtle acidic runs which build towards the break. The breakdown is pure magic featuring a memorable hook and warm analog pads that catapult the tune into epic territory. 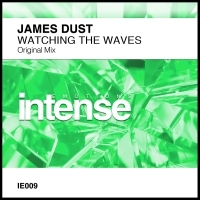 Watching the Waves strikes at the very heart of what Intense Emotions stands for and is simply pure brilliance from James Dust. 'Watching the Waves' is available now from Beatport and iTunes.